It has been quite some time that I have reviewed anything. The last time I reviewed anything was this. Do you like the smell of freshly cut ginger at times in the morning. May be in your tea ? Well if yes then you would love this body lotion. This has a slight and very mild smell of ginger along side the wonderful fragrance of passion-fruit. If you are a fan of body shop products, I would suggest that you give fruttini a try ! Because as far as the price ranges are concerned,there is not much of a difference between body shop and fruttini products. Let us focus on the body lotion now. First about the company. It is a Germany based company. What is so special about Fruttini? Fruttini is the seductive fruity body care brand for all connoisseurs. Attention-grabbing design and emotionally charged fruit illustrations whet the appetite for fruity indulgence for the whole body. All products are based on high quality recipes for silky soft skin. An irresistibly intense fragrance experience promises a pure body care experience! 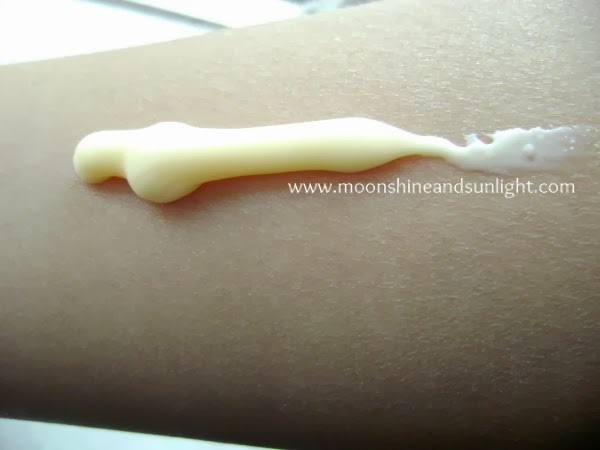 A light ginger colored body lotion, with a very light texture. It is not too runny or not even like a body butter. 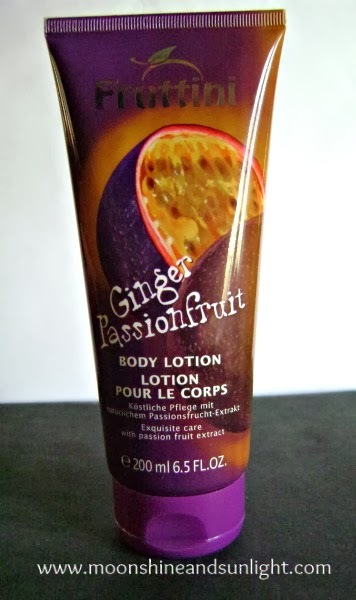 A mildly fragrant body lotion as I said earlier with a light fragrance of ginger mixed mostly with passion fruit.This is from their gourmet range. It comes in a big package, in tube with a flip cap. Which is good if you look at it from a an economic point of view. The quantity I mean. And as far as the travel friendliness is concerned , i wouldn't say I it good enough on that part. Stay of this body lotion is at max 7 - 8 hours and then you will have to re apply. This is a better body lotion for summers. I won this body lotion in a giveaway held on www.wiseshe.com. Thanks to Anamika for hosting this giveaway. You can check out more products like hand creme , body butter of this variant here. If you wanna buy these you can from these stores. Check out the stores in your city. If you want to try out something else from them look out for my review of Raspberry and Creme body scrub here. I give this body lotion a 4 out of 5. I am deducting one marks because of the need to re apply. 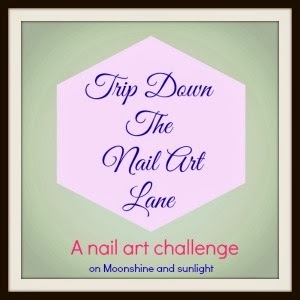 Are you joining the Nail art challenge ?? seems like a good lotion. hehehe!! since you love passionfruit , this is something u must try ! Little Pricy but seems like worth trying. The packaging is really cute. Sounds nice. Has a thick consistency too. Looks good ...will try out..is dis available at Health and Glow?? Sorry dear ! I don't if it is or not, but you can check out the list of stores they are available in the link I have provided. This sounds delicious! I wouldve loved to give this a try if the price was a lil less! so tempted to get something of tis company & range after reading your review ! Haha! do let me know which one you are getting !